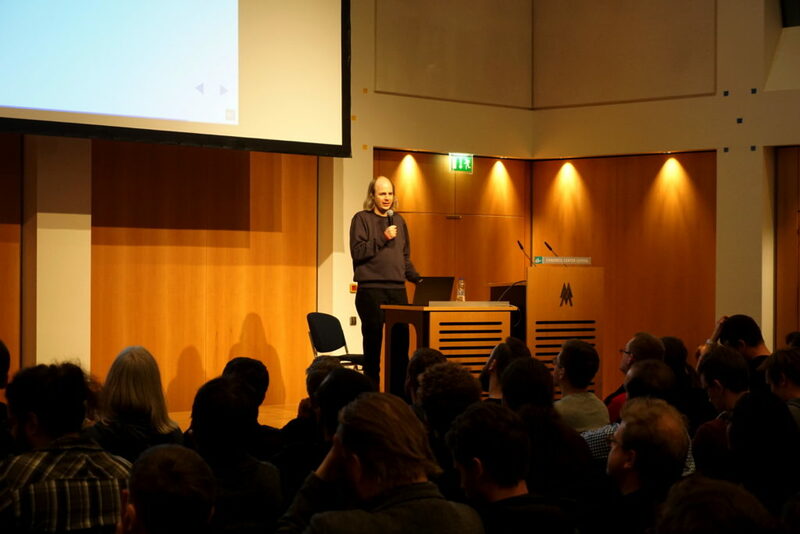 After setting up our own self-created track in the session-rooms offered by the CCC in the last two years [2015, 2016], we aligned this year with European Digital Rights (EDRi) and together we have been forming a Cluster called “Rights & Freedoms” around our own lecture hall with a 100-people-audience stage in one half – and room for several friendly organisations to settle their own assemblies in the other half. This way, the FSFE’s track became for the first time official part of the CCC-program. Together with likeminded organisations we used our stage to set up a full-time-program in our cluster that in sum led thousands of visitors in there with the FSFE booth being prominently located directly at its entrance. 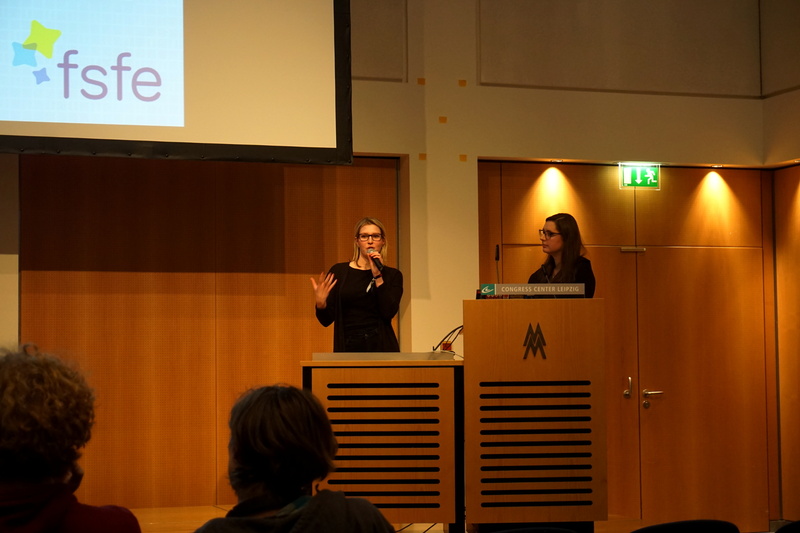 Also from the organisers of the CCC, people were very happy with us and our organisation and we were giving the hope to get an even bigger lecture room next year. 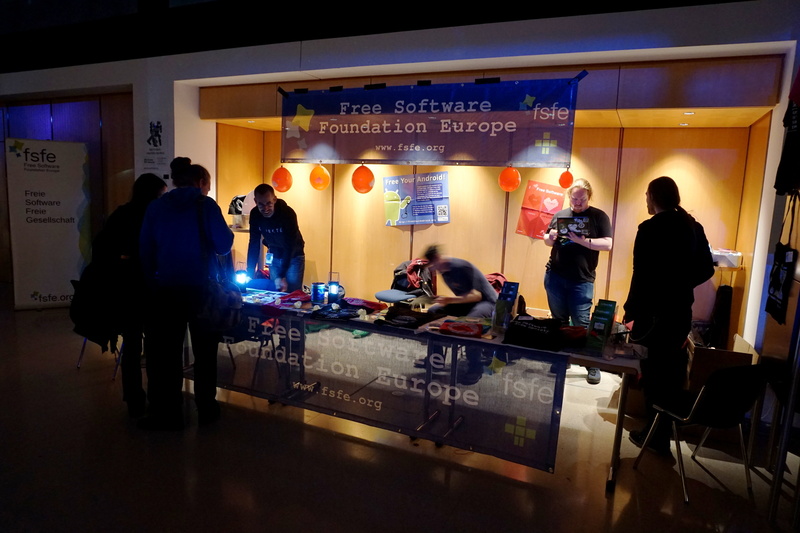 I see this FSFE’s growing presence at the CCC as a strategically important success because it is not “the usual Free Software conference” but a general technology meet-up. 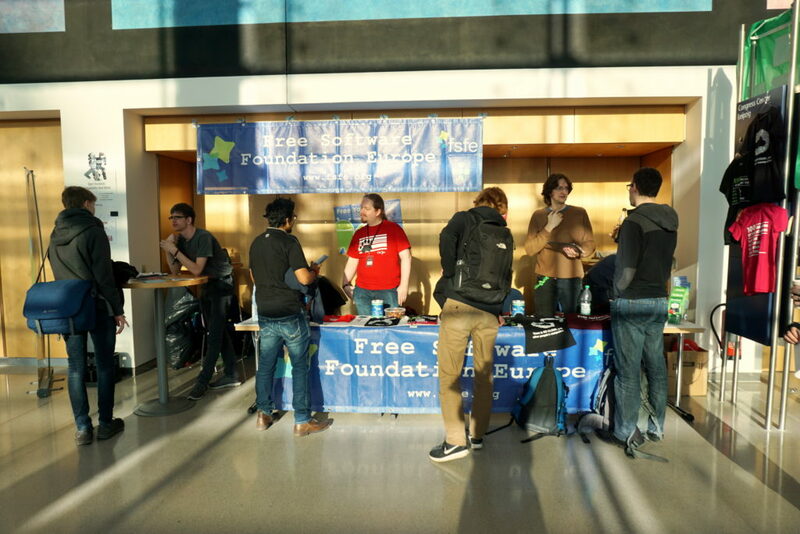 So, a good presence at CCC is not simply stewing our own soup but instead extending our outreach into new networks. As is true for most of our booths and activities, the whole booth would not have been possible to run without our dedicated volunteer booth team! You are the ones empowering FSFE. 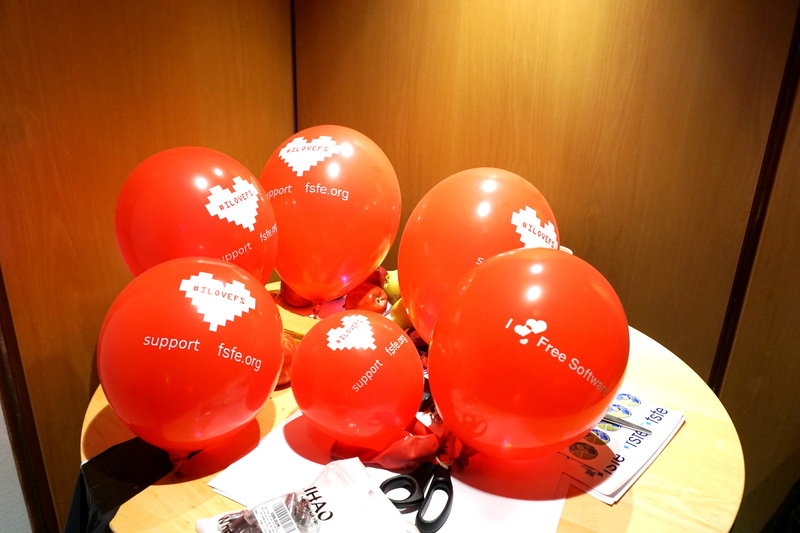 And I like to use this occasion to give a special thanks to André Klöpfel, Berlin-based volunteer, without whom I would have not been able to organise our booth so smooth this year and last year already.